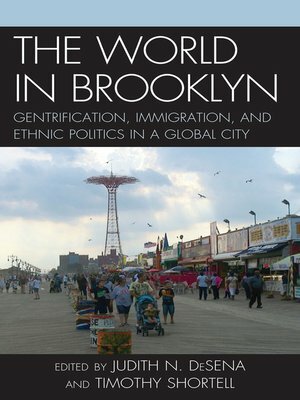 The World in Brooklyn: Gentrification, Immigration, and Ethnic Politics in a Global City, is a collection of scholarly papers which analyze demographic, social, political, and economic trends that are occurring in Brooklyn. Brooklyn, as the context, reflects global forces while also contributing to them. The idea for this volume developed as the editors discovered a group of scholars from different disciplines and various universities studying Brooklyn. Brooklyn has always been legendary and has more recently regained its stature as a much sought after place to live, work and have fun. Popular folklore has it that most U.S. residents trace their family origins to Brooklyn. It is presently referred to as one of the "hippest" places in New York. Thus, this book is a collection of demographic, ethnographic, and comparative studies which focus on urban dynamics in Brooklyn. The chapters investigate issues of social class, urban development, immigration, race, ethnicity and politics within the context of Brooklyn. As a whole, this book considers both theoretical and practical urban issues. In most cases the scholarly perspective is on everyday life. With this in mind there are also social justice concerns. Issues of social segregation and attendant homogenization are brought to light. Moreover, social class and race advantages or disadvantages, as part of urban processes, are underscored through critiques of local policy decisions throughout the chapters. A common thread is the assertion by contributors that planning the future of Brooklyn needs to include multi-ethnic, racial, and economic groups, those very residents who make-up Brooklyn. Judith N. DeSena is professor of sociology at St. John's University. Timothy Shortell is director of the MA program in sociology at Brooklyn College.